EFI Group’s client, a major sugar refiner located in the U.S., had an opportunity to add a new customer, but did not have sufficient granulated sugar conveying capacity to support the required increase in output from their retail packaging machines. Not only was our client facing turning away immediate new business, but also future prospects and increased business from existing customers. In other words, without process improvements, their growth strategies were limited. 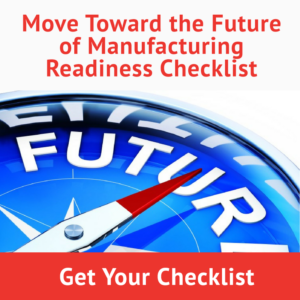 Adding to the problem was the fact that our client believed their existing bulk material handling systems were already running at maximum capacity. They did not see a way to increase packaging output without making a significant capital investment in conveying equipment. Understanding the imperative of building capacity without a capital investment, we challenged our client’s assumption that they were already at maximum capacity by conducting an in-depth analysis of the company’s extensive network of conveying systems. Using our client’s process flow diagrams as the basis, we performed field surveys to develop a thorough understanding of the vast network of bins and conveyors used to bring sugar from the refinery to the packaging lines. We also engaged our client’s operations team and maintenance staff to further understand the equipment’s day-to-day requirements and operating constraints. Using OEM equipment design details, field observations (rpm and amp readings as well as visual observations), and our own team’s experience with bulk material conveying equipment, we then developed analytical models and capacity graphs depicting the current capacity of the systems conveyors and chutes. Our analysis revealed that our client was not operating at maximum capacity as had been assumed. In fact, we were able not only identify rate-limiting equipment, but also equipment running faster than necessary. With a simple and straightforward visual indication of system bottlenecks and waste in hand, we developed solutions that would meet two specific criteria: 1) The solution must alleviate a primary constraint; and 2) The solution must be quickly implementable by our client. This criteria ensured our client would be able to move forward with their new customer immediately and without having to make a capital investment. 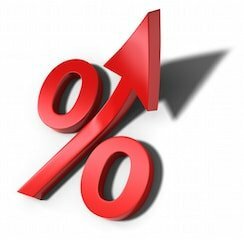 Within a very short time frame, we increased packaging output by approximately 10%, which exceeded our client’s original goal, and our client had a new customer. Detailed capacity calculations and graphs depicting the capacity of the current system along with a summary of the primary bottlenecks preventing the necessary increase in production. A detailed list of recommended non-capital solutions in order to achieve the increased production rates. Primarily, these included speed changes (both up and down) of existing equipment and re-design of interconnecting chutes in order to balance the capacity of each individual component. Detailed design and installation support of six different interconnecting chutes. Flow diagrams and a preliminary design for two new conveying systems to further reduce bottlenecks. Since project completion, equipment reliability has remained high and our sugar refiner client has been able to continue to implement items from our recommendations list thanks to project deliverables we included to address future needs. Clarity is vital for developing strong growth strategy. This manufacturer was willing to question whether or not they had an accurate view of their capacity and invest in an outside perspective to find out. Always, the key to achieving the next level of success is staying on top of your profitability and ahead of your growth goals. Take a look at another potential profitability killer with fresh eyes – your cost estimating process. 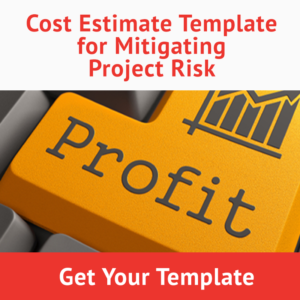 Download our free Cost Estimate Template for Mitigating Project Risk.